Tutorial Tuesday – High Pass Filter – It Works For Bobbi! 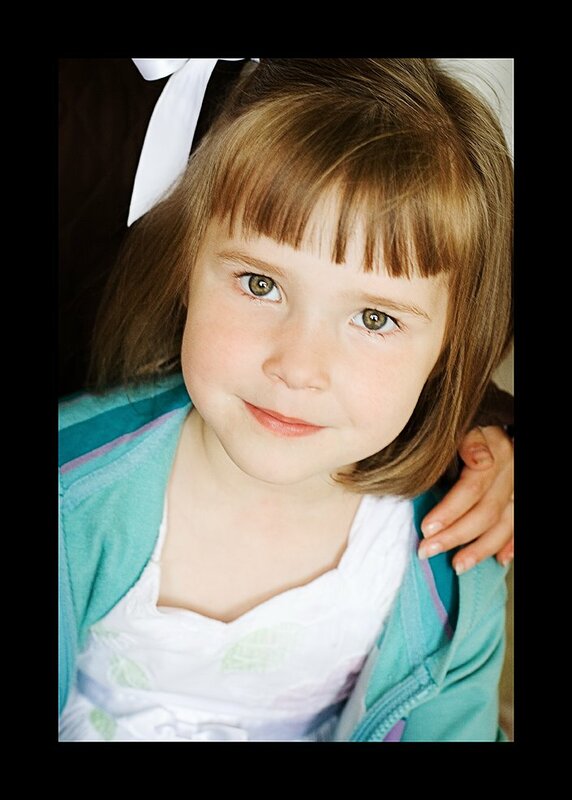 Published on June 10, 2008 August 9, 2016 by Bobbi-Jo G.
Have you ever had a really nicely composed photo, nice lighting, nice colors – but then the photo is just slightly blurry?? It happens to me a lot. This is a quick, super easy method of sharpening (and thus saving) that photo – making the difference between throwing it out, and having a WOW photo. We’ll be using a high pass filter. Have you used one before?? Well, you will now! This tutorial was done using CS2, however it will work equally well in elements. Let’s go! 1. Open your photo. If you look closely, the photo is slightly out of focus. But I loved this shot of BB, so I had to try to save it. This shot has had no other editing done to it, it is straight out of the camera – just so you can see the difference. Generally, when sharpening you want to leave it to the last step. 2. 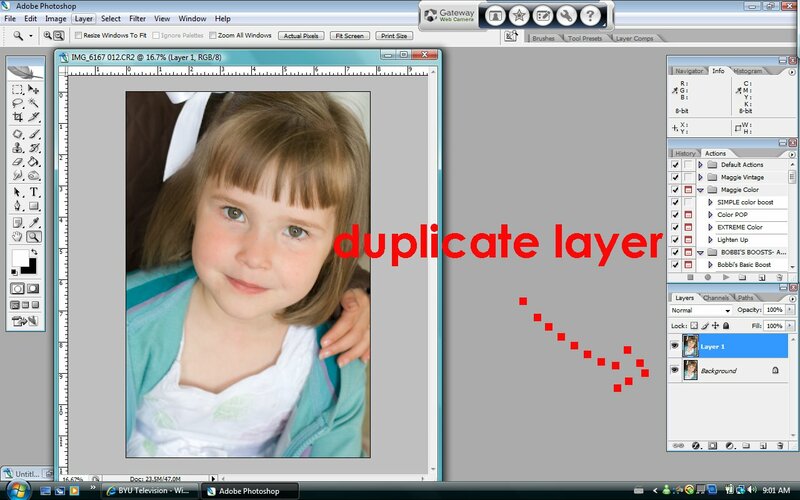 What you will do, is create a duplicate layer of your image by clicking on Ctrl+J or by going to Layer>Duplicate Layer. 3. Now we want to turn that layer you created into black and white. In CS2, you can do this by going to Image>Adjustments>Desaturate (Shift+Ctrl+U), in elements go to Enhance>Adjust Color>Remove Color, or just use the SAME shortcut of Shift+Ctrl+U. 4. This is where we will be adding the high pass filter. Warning! This will look strange – it’s supposed to. Have confidence! We know what we’re doing :). Okay, go to Filter>Other>High Pass. A little screen will pop up, and your image will turn kinda greyish. 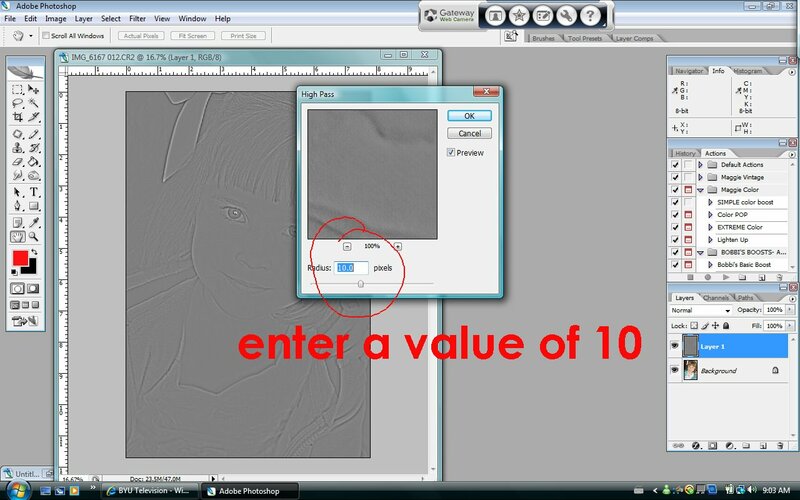 In this little screen, enter a value of 10 in the box beside the word “radius”. Click OK.
5. Now to make your photo look normal again. 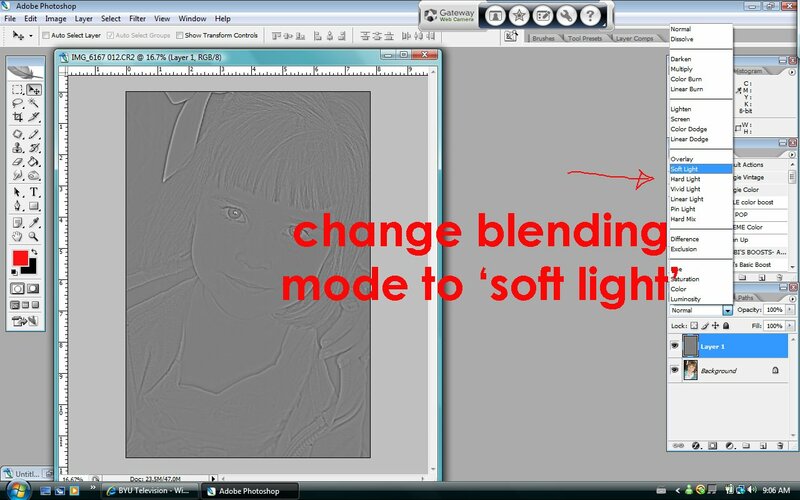 We will change the blending mode of the grey highpass layer from normal to “soft light” over on your layer’s palette. Remember how to change the blending mode? Click on the downward facing arrow beside the word “normal” and click on “soft light”. Cool! Thanks! I really look forward to your tutorials. 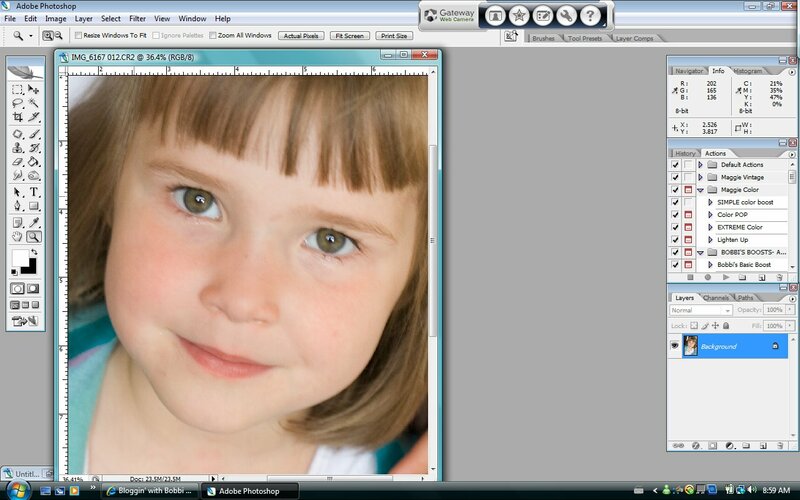 Did you take classes on Photoshop or did you just learn by playing around? I can’t wait to try this! Love your tutorials!! Do you know how many photo’s have disgard because it was a little too much out of focus. Thanks for sharing this with all of us. 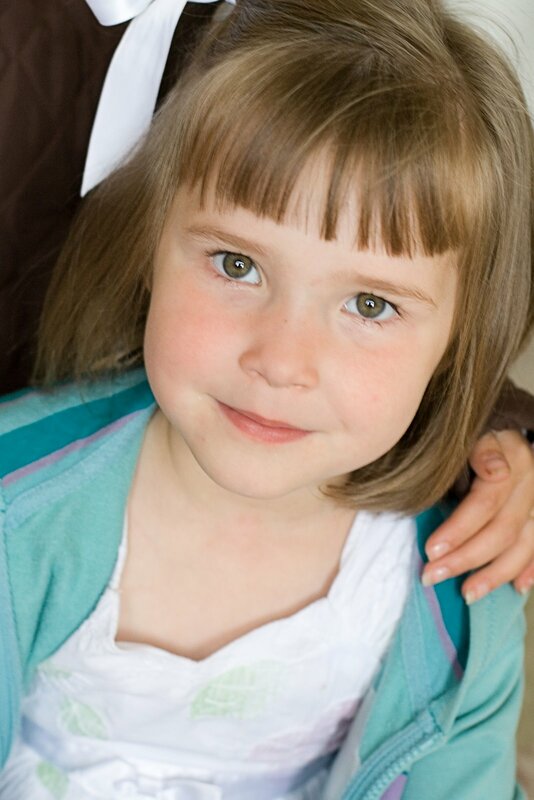 I just recently discovered your blog & must say that I LOVE your tutorials! You have helped me so much with my Photoshop skills. Thanks for sharing your knowledge. I tried this one & it works great. I certainly see the difference. This is just what I needed! I finally successfully executed something in CS2! Check out mine:http://blog.michellescrapbooking.com/glasses/Thanks Bobbi! This is great! I love it, can’t wait to try it! Thanks. Also, your garden is beautiful and Congrats on your calling! (Congrats on being worthy and willing and capable actually!) You’ll do awesome! Thanks for the great tutorial! I'm a newbie to Photoshop but I love it. I have a pic that I would really love to make “unblurry” but I tried this technique and it is still not great I was wondering if you know of anything else to try?